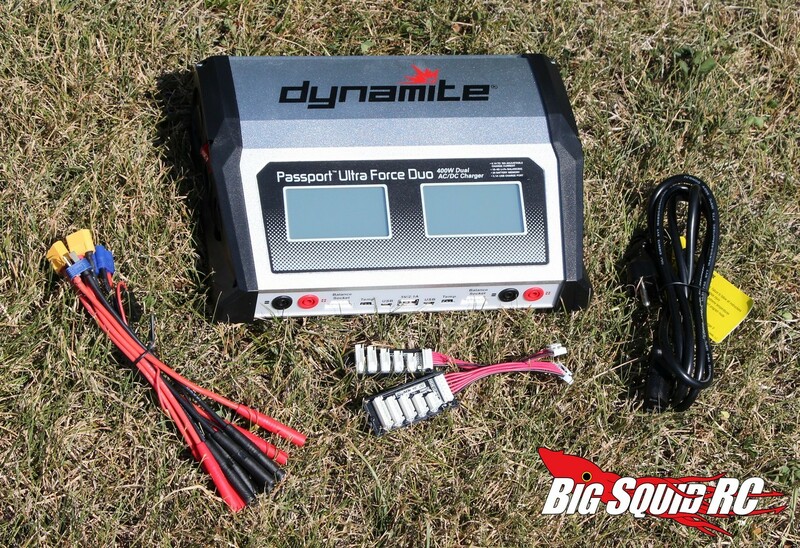 Dynamite Passport Ultra Force Duo from Horizon Hobby Review « Big Squid RC – RC Car and Truck News, Reviews, Videos, and More! What’s In The Box: Inside the box you’ll find the charger, a free LiPo bag, the AC power cord, the two balance ports, instructions in what looks like a couple hundred different languages, and various charger leads. 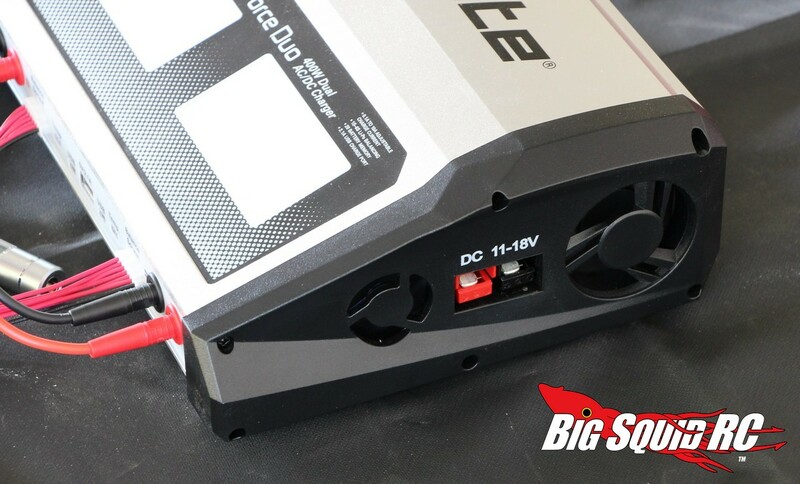 Build Quality: Our crew gave it a good look over and could find no problems with the quality of the charger, or any of the accompanying wiring. Testers: Hawaiian Chris, T-Mohr, Iron Mikeee, and yours truly. 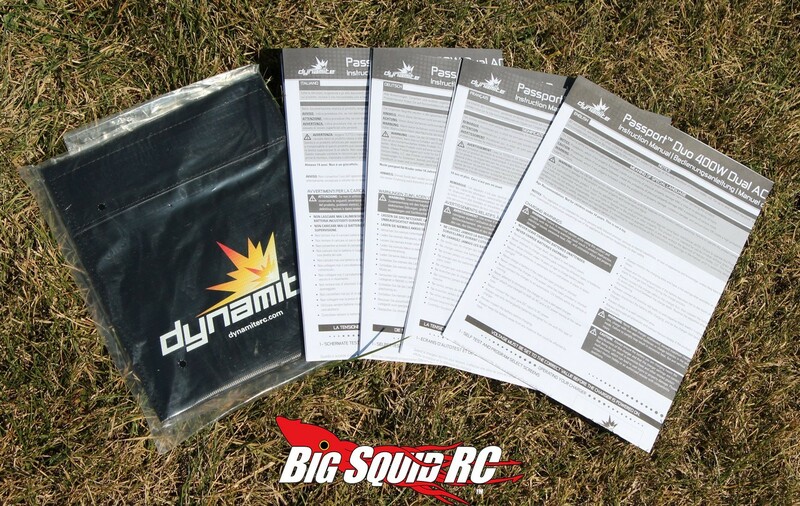 Set-up Notes: We used the Dynamite on a huge variety of packs. 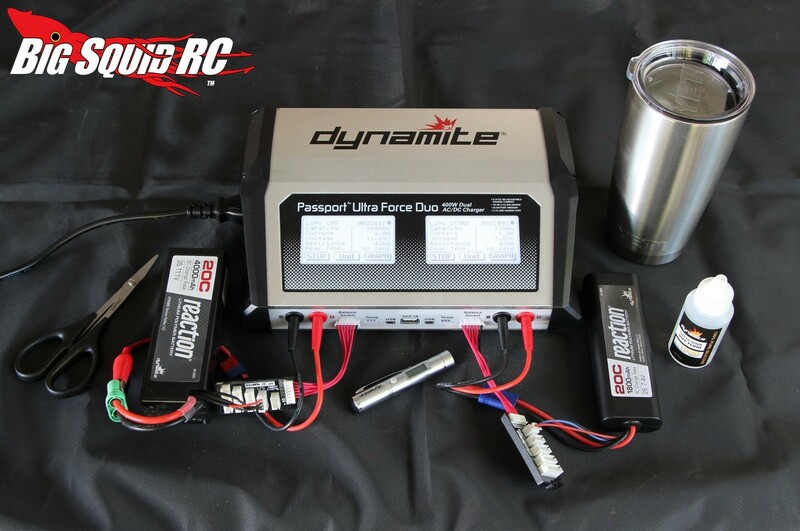 From small NiMH receiver packs, up to giant 6S 8000mAh LiPos, we put it through its paces. One thing we did not do was to power it off DC power, we exclusively used it with AC. Ease of Use: No, we never had to touch the manual to figure anything out. Like most electronics with a touch screen, we found the Passport to be exceptionally easy to use. Even our most tech-disabled tester could easily figure out how to use the Passport. Power: There are some gnarly beasts on the market putting out over 20 amps per channel, but the 10 amps x 2 that the Passport comes with is still quite beefy. 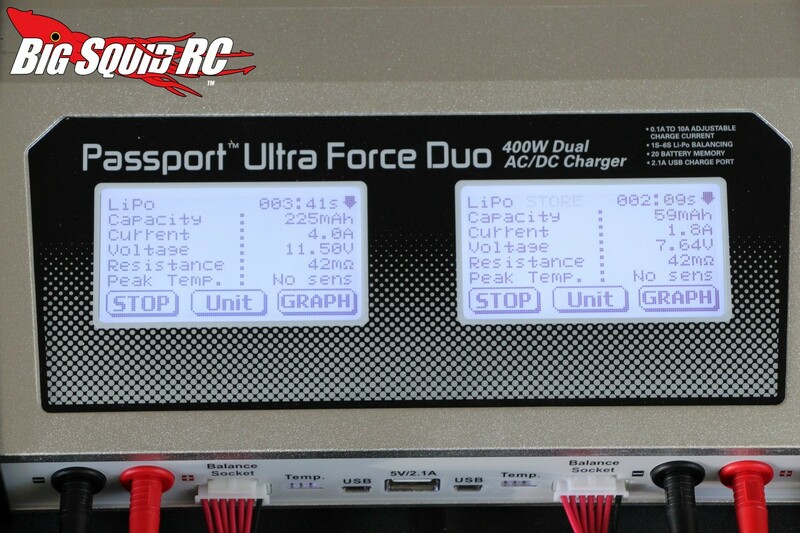 With a 500 watt internal power supply, you can easily charge a pair of smaller packs at 2C. 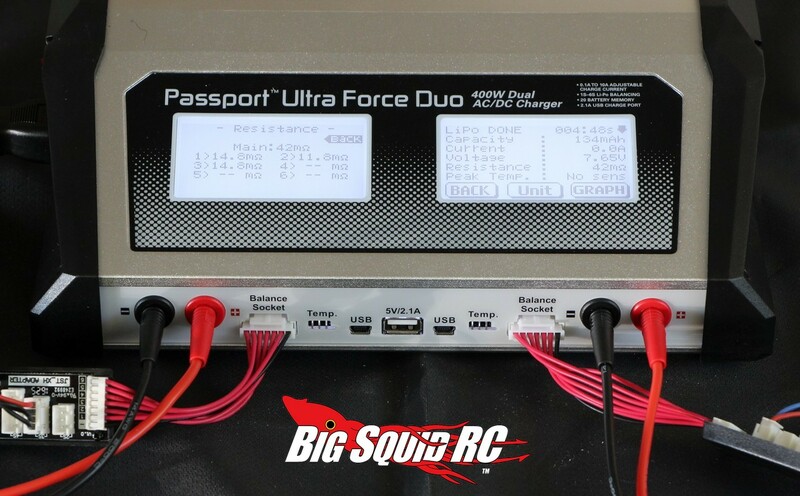 In fact, we very rarely charge at a rate over 10 amps on a day-to-day basis, so the Passport was more than enough for our normal charging duties. On the Track: We grabbed the Passport, a bunch of packs, and a Losi Ten-SCTE. Then we hit the track to compare the Passport’s charge quality against one of the baddest boys in the class, the iCharger 308. How did it stack up? None of our test drivers could consistently tell which charger was used on the pack they were given to drive with. Our test crew felt like packs charged on the Passport had tons of rip, with strong low end out of the hole and plenty of top speed. 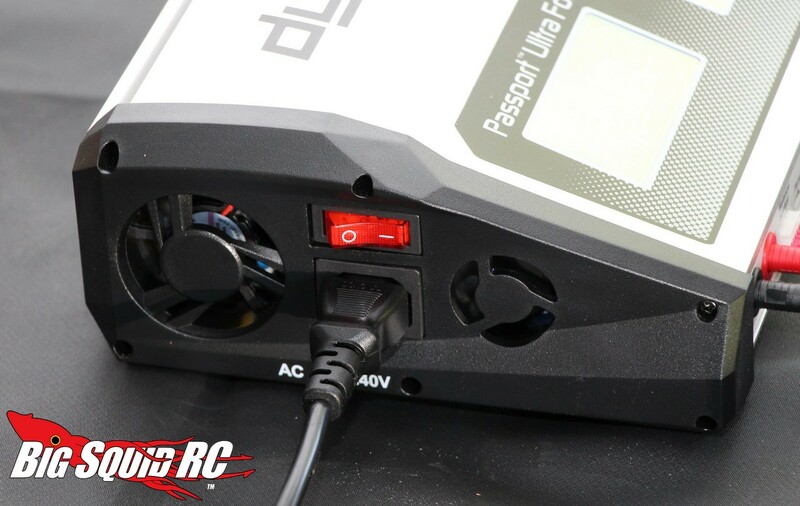 While you can run the Passport off of DC power, it doesn’t come with the proper cord to do so, it has to be purchased separately. A DC cable is included with most chargers, why not with the Dynamite? Because Dynamite didn’t mess around with their DC cable. It has heavy duty connectors at both ends to handle the considerable amp draw capabilities of the high output Passport. The AC cord is included and it is awesome. How is that, it is just a simple power cord? Well, it is long, like long enough to never have an issue reaching your power strip. What kind of audible alarm does the Passport have? A nice one. It isn’t too loud, it does not make you want to smash the charger with a hammer, it just politely lets you know when a charge is finished. The charger comes with a free LiPo bag, nice. You can never be too safe while charging. We mentioned the touch screen already, but it is worth mentioning again. We found the screen to be easy to read, but more importantly, it really did make the charger easier to use. 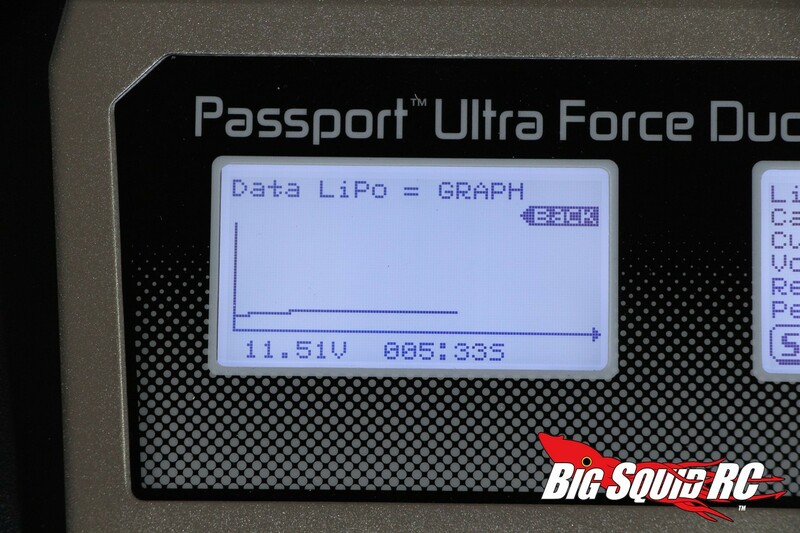 Final Verdict: We experienced no issues with the big Passport Ultra Force Duo and it did a solid job of charging packs for us. 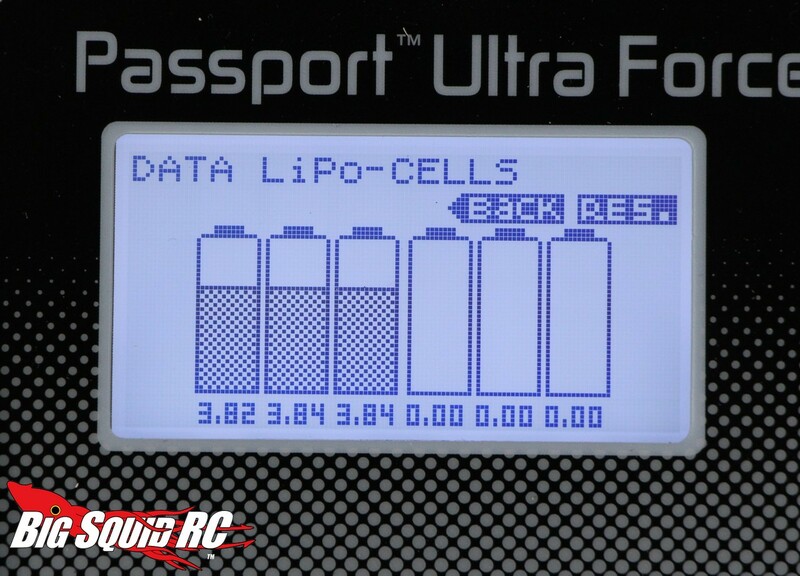 Its touch screen did a fine job of making it easy to use and program, while the quality of its charge was very good on the LiPo packs we tried. 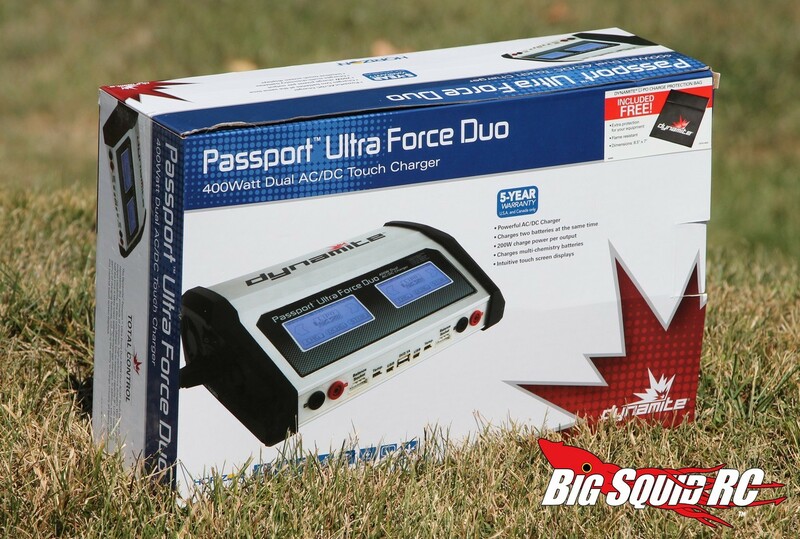 If you are in the market for a big dual port charger, we can highly recommend the Dynamite Passport Ultra Force Duo to you.